Welcome Murdoc readers! Murdoc Online was one of the first blogs I read years ago, and is still a favorite stop! Thinking of applying stealth to US warships, you might be forgiven if you see major $$$, considering the huge investment of national treasure required to construct such weapons. Adding radar resistant technology to aircraft required billions of dollars and decades of research, which gave us only 50 F-117 attack planes in the 1980s, 21 B-2 Spirit bombers (including the initial demonstration airplane) in the 1990s, and probably less than 200 F-22 Raptors for the 21st century. 2). Build Smaller Warships-Certainly the smaller a ship is the less visible it becomes, as in the modern missile armed fast attack craft (FAC). Such is a Jeffersonian approach to war at sea, who ordered the construction of hundreds of tiny gunboats instead of large and expensive frigates during his administration. 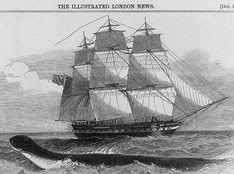 Such craft proved virtually useless during the later War of 1812. In our own era, Third World navies found their own gunboats now equipped with guided missiles equally defenseless against Western helicopters in the various Gulf Wars when the latter came armed with their own anti-ship rockets. Modern communication technology and so called "swarm tactics" might be a lethal combination in a future conflict. The ability for large forces to disperse then rejoin to strike an enemy's weak point has always been a decisive attribute in warfare (most often practiced by Napoleon). 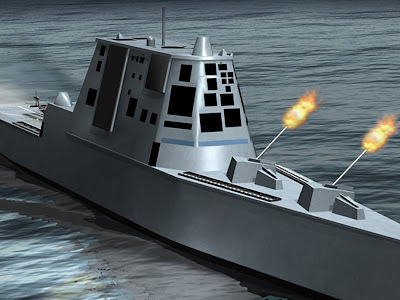 GPS would allow missile armed craft to converge their superior numbers, while their small size should mask their intentions until it is too late for the defense. 3). Becoming more dependent on submarines-The modern attack submarine is inherently stealthy, more so than any other warship. It's historical function is to attack weakness utilizing guile where ever possible. The ability to strike and then disappear beneath the waves is a quality unique to the U-boats which is greatly enhanced by modern technology. Nuclear power has not only increased the speed and underwater endurance of the subs, but also broken the limits on the size these once-and-future-warships can be designed. The Russian Typhoon class is the size of a World War 2 aircraft carrier while America's own Ohio ballistic missile submarines are nearly as huge. This expansion in cargo capacity allow modern boats to perform missions once exclusive to surface ships. Unmanned aerial vehicles, which often duplicate manned aircraft can be carried, as well as small groups of elite landing troops. Though the nuclear attack submarine might never completely replace all the functions of the traditional warships, given its unmatched invisibility beneath the waves, the Navy may have little choice but to make due with these highly survivable weapons in the next war at sea.